My trip to Sheffield also afforded the opportunity to see colleagues at the iSchool. The night before the viva I caught up with Dr Andrew Cox and, amongst other things, we talked about how we might develop the work presented together with Nordic colleagues at ASIST2012 into a journal article. 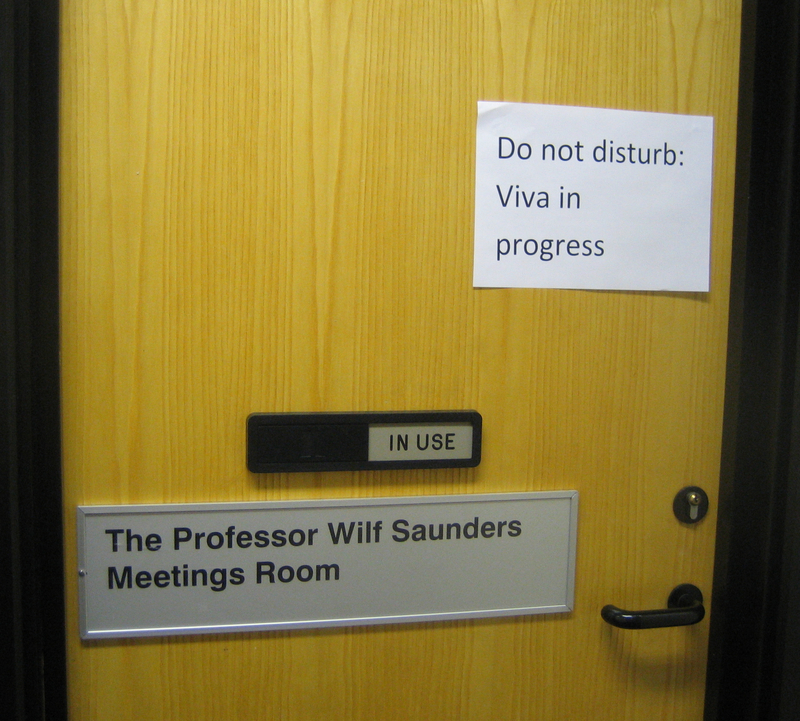 I spent most of the day of the viva itself with Professor Nigel Ford. As well as finalising preparations for the exam, conducting it, and afterwards documenting the outcome, I very enjoyed talking to Nigel about a range of topics from photography to the punctuation of the University of Sheffield logo. I must say that I would love to know the function of that full stop. This entry was posted in PhDs and tagged actor-network theory, Andrew Cox, ASIST2012, doctorate, iSchool, Nigel Ford, online, participation, PhD, photography, practice-based approach, punctuation, Sheffield University, University of Sheffield, viva by Hazel Hall. Bookmark the permalink.